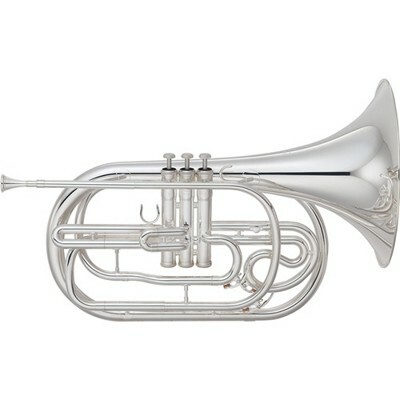 Yamaha Marching Instruments are designed for easy playability and rugged durability. Each model has heavy bracing throughout so they are more durable at vulnerable points and are designed to be well-balanced for maeuverability. 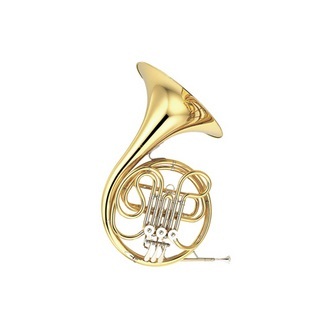 The YHR-302M shares many of the same warm tonal colors as Yamaha's concert models. 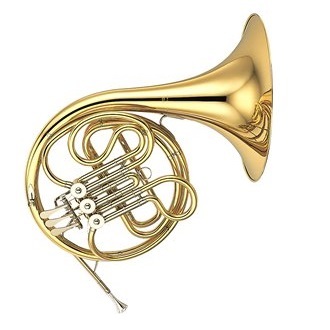 It features a .472" bore, 10 1/10" yellow brass bell and body in a clear lacquer finish. Other features include nickel-plated pistons and a 1st valve slide thumbhook. The YHR30M includes a mouthpiece, care products, and a case. The taper of the leadpipe improves response and intonation throughout the instrument. The wrap of this model allows for a more comfortable hand position and smoother air flow. The use of nickel silver inner and outer slides ensures better fit and less chance of corrosion because nickel-silver is harder and more durable than brass. Tapered valves wear for a long time without air leakage.